Serverless architecture is becoming hard to ignore. At a time when IT is under increasing pressure to reduce infrastructure costs and boost time-to-market, going serverless can quickly provide a competitive advantage. But how do you pinpoint where serverless is best applied within your infrastructure? 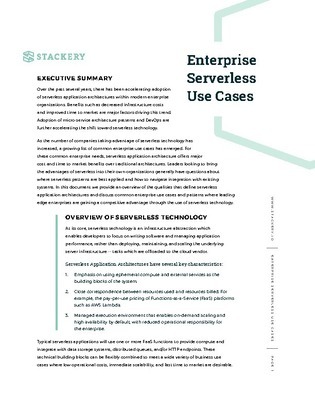 Click to access seven serverless use cases, designed to help you realize the potential of serverless architecture within your IT environment.